Caribbean Islands – a small paradise! You not only rest here, but feel the whole charm of this heavenly corner of the earth, taking the full from your vacation. You can tirelessly enjoy the bright rays of the sun, incredibly warm and clean sea, while watching idyllic landscapes, as if descended from the pages of magazines. 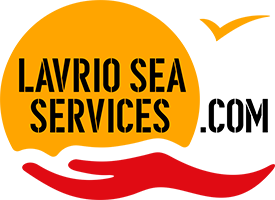 In addition, sailing holidays in the Caribbean Sea will give you the opportunity to dive and discover the magical underwater world of this region. The Caribbean islands have countless bays and anchorages that will allow you to fully enjoy the cruise. The Caribbean Sea Basin is a vast expanse of islands and coasts washed by the Caribbean Sea.Having a crescent shape, this paradise includes West Indies, the Yucatan peninsula, the eastern coast of Central America, the coasts of Colombia and Venezuela, as well as Cuba, Jamaica, Puerto Rico and the Dominican Republic. It extends for about 2500 km from east to west and 1250 km from north to south, thus having an internal area of about 2.5 million km². The Caribbean Sea is connected in the northwest with the Gulf of Mexico via the Yucatán Strait, and also connects with the Pacific Ocean via the Panama Canal. It is characterized by a rich and diverse, marine and terrestrial environment and a beautiful tropical climate. The Caribbean Sea is also a natural crossroads of cultures and traditions of no fewer than twenty different nationalities. The Caribbean Sea is an ideal place for yachtsmen looking for blue lagoons, turquoise bottomless waters, white sandy beaches. That’s why the Caribbean Sea is a very popular destination among European tourists, especially in the winter. For some sailors this is also a transition, cause passing the Panama Canal they enter the Pacific Ocean. In the Caribbean the dry season is from February to June, delivering only an occasional rain shower. From July to January, the wet season brings frequent showers with lots of sunshine and the occasional rainy day. The tropical climate of this region provides favorable temperatures throughout the year, expecting 25°C to 30°C with balmy winds. Squalls produce intense rains and sometimes winds in excess of 40 knots. The winter months, November to March, produce strong Christmas winds. During this time, storms from the north produce swells and may create an unsafe anchorage, so be prepared to move to a safer location. In June, the winds diminish and clock to the southeast at 10 to 15 knots. There are plenty of Caribbean charter destinations, that will take you through the hidden gems and beaches, protected coves, tiny villages and little beach bars often unreachable other than by boat. Find your special places, achievable only by boat or yacht. So, may the wind be at your sails, exploring the Caribbean islands! 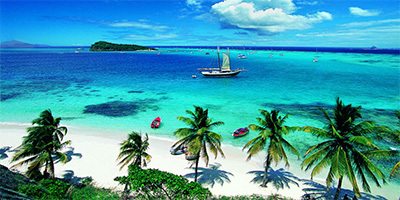 “The jewels of the Caribbean” – the Grenadines are what you dream about, from the color of the water to the Tobago Cays. Their beauty is reach with a French-English-Creole heritage. Hundreds of secluded anchorages, often uninhabited islands speckled down the fourty-mile island chain, known as the Windwards, makes its way from St. Vincent down to Grenada. Crystal blue waters, with plenty of local villages and gorgeous beaches to visit. 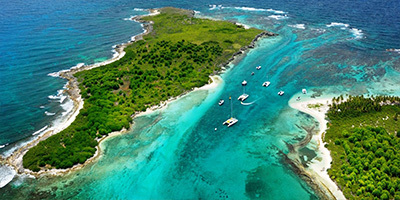 Pick up a mooring on secluded Petit Mustique, or snorkel the prolific waters of Tobago Cays Marine Park. Ready to hike the La Soufriere volcano on spectacular Bequia? 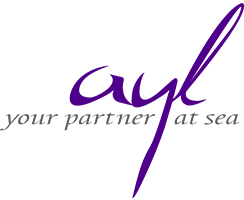 Take the most of your Caribbean yacht charter! 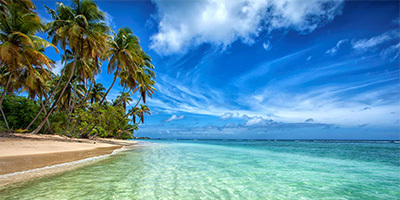 The islands of Trinidad and Tobago are great for holidays and anyone looking to have fun at sea. Vacationers can get a real feel for the islands by renting a boat to sail along some of the most beautiful coastlines in the Caribbean. They offer plenty of activities from annual sailing regattas, diving excursions in the vibrant coral reefs, turtle spotting on Matura beach, bird watching, hiking in the lush tropical forests, art galleries, museums and great choices for dining out. If you are planning a sailing vacation in Trinidad and Tobago, try to plan it for the start of the year to catch a glimpse of the colorful Carnival that is celebrated annually by the locals. It is one of the most exciting and popular events, during which vacationers may spend weeks exploring the waters off the shores of Trinidad and Tobago. In contrast with Tobago, there are many places to dine in Trinidad, especially in and around Port of Spain, where you’ll also find arcade shopping malls stocking luxury goods as well as local crafts. And there are natural riches too: the active can hike, cycle and kayak to their hearts content in the lush interior; there is good deep sea and inshore fishing, and six golf courses. 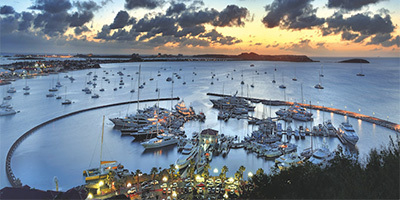 The Port of Spain in Trinidad is the main place to source most yachting related activities. Moreover, it is an excellent starting point for boaters embarking on bareboat or skippered yacht charter. The harbor of Trinidad is well-equipped and facilitated with all amenities. Tobago is also a fantastic place to hire a yacht in the Caribbean. This destination offers a unique sailing experience with stunning vistas of the coast of South America on one side and the highest peak of Trinidad, El Cerro del Aripo, on the other. The island remains relatively undeveloped and the local residents are wonderfully hospitable and welcoming. Come here to enjoy the pristine beaches, crystal waters away from the bustling crowds. Anchor overnight at the capital, Scarborough and enjoy a day touring the historical museums, old fort building and bustling street markets. Saint Martin is located about 250km north from Continental Guadeloupe and belongs to the Northern Archipelago. It is the smallest landmass in the world shared by two independent countries. This charming island nation is divided in the middle, the north part of the island, Saint Martin is French, and the south, Sint Maarten is Dutch. Distinctly different, both sides of the island offer visitors a unique, charming and exciting opportunity to experience a culturally diverse Caribbean way of life. Watch the sunrise over a secluded lagoon. A year-round, tropical climate, enchanting sandy beaches, exciting scuba diving sites and sparkling, azure waters are just some of the highlights waiting for you in paradise. From the moment you arrive onto the island of St Martin/St Maarten, the charming and stunning panoramic views will take your breath away. Puerto Rico is one of the northernmost islands in the Caribbean. “Rico” is Spanish for “rich,” and this island is positively overflowing with natural and historical riches, been first settled 4,000 years ago. Puerto Rico offers the perfect balance of rum-soaked nightlife and tranquil retreat. The Spanish colonial buildings of San Juan set a perfect backdrop for a day of shopping and sightseeing. Hike the massive El Yunque rainforest to see waterfalls, stone towers, and colorful Puerto Rican wildlife. As far as beaches go, it doesn’t get better than the private sands of Isla de Vieques – particularly Mosquito Bay, where by moonlight the water glows blue-green thanks to magical microorganisms. Sparkling beaches wrap around the main island’s forests and towns, and cover the many smaller surrounding islands. Only two of these islands are populated permanently, meaning there’s plenty of unspoiled paradise for you to discover. Yacht charter in Guadeloupe is the ideal family destination and romantic getaway. This archipelago offers an exciting mix of modern cities, rainforests and secluded beaches. Enjoy each of two islands the Guadeloupe is made of, specifically Grande-Terre and Basse-Terre! Make sure you don’t miss the beautiful Crayfish waterfall, Grand-Terre’s sand beaches, cane fields and resort areas, as well as mountains, waterfalls and world-class diving in Basse-Terre. For an even more dramatic sight, head to the south of Basse-Terre and visit the famous 350-foot Carbet Waterfalls. Just 10 minutes from the airport you’ll find a full service marina – Marina Bas du Fort. It offers shower facilities, fuel, water, electric hookup, maintenance area, supermarkets, bars and restaurants. Martinique is one of the shining jewels of an incredible French Caribbean rich culture, and as you can imagine, the cuisine is delectable. Martinique offers the classic Caribbean package of flawless beaches – white sand on the south coast, and black sand on the north coast. Take pleasure of its unique and friendly Euro-Caribbean atmosphere, great shopping, and impeccable restaurants. The small village of Le Marin, with its marina takes its name after the commune on the island of Martinique, a French overseas department in the Lesser Antilles. Le Marin - your Charter Marina to explore Martinique. It’s well known to sailors as a good base for any trip around the islands. The full name is Port de Plaisance du Marin and it’s positioned right in between the Atlantic Ocean to the east and the Caribbean Sea in the west which it’s considered a strategic stop for any passing by here. Old forts, churches and even a Hindu temple make up the rest of the sights available for groups that visit Le Marin. Another interesting feature is the local casinos, since gambling in Martinique is legal. Some of you might want to try out their luck before hitting the beach. There are many events, ranging from cultural to nautical and religious. The nautical events such as the Yole Boat Race are held during the summer months and draw up reasonable crowds on a yearly basis. 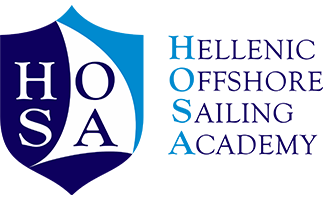 There is an Aqua Festival in April and a four-day regatta in June around Le Marin harbor, not to mention a Fishing Tournament in October. The cultural events are centered around the Creole music, art and dance, but since this is French territory, you’re going to encounter the same holidays and traditions like you would in France. 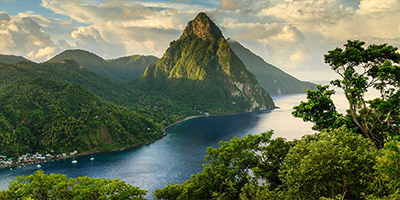 Experience the majestic splendor of St. Lucia in the best way possible – from the sea! When was the last time you went out for a casual drive and ended up inside a volcano? A surreal scenario comes to life at La Soufrière, one of the most popular attractions in St. Lucia. Pack your skin with the medicinal mud of Sulfur Springs for a DIY spa treatment. Continue your eruptive adventures with a guided hike of the two volcanic plugs known as the Pitons then ascend Morne Fortune to take in the sweeping views. For an intimate beach experience, hit the private black sands of Anse Mamin. Moreover, St. Lucia is a popular sailing spot and, in part because of its popularity, it's home to many ports through which sailors can make their way onto the island. In fact, the government of St. Lucia has actively encouraged yachting, with an eye toward making this island one of the Caribbean's top yachting centers. The peak sailing season for St. Lucia is from December until June, though this does overlap with much of the high tourist season in the region as well. Visitors will find higher prices, but less rainfall. Rainfall is a summer-oriented concern, but summer also brings hurricane season (June through November) - which can be unpleasant should a storm be passing nearby. Antigua’s has been one of the Caribbean’s top sailing destinations for centuries, all the way back to Admiral Nelson. Today, it has the most prestigious sailing week in the Caribbea. Not only it’s a great charter destination, but its Falmouth Harbour is one of the world’s best Megayacht havens. The alluring island of Antigua has over 54 miles of stunning coastline and 365 beaches, one for every day of the year, making it the perfect destination for a low key, relaxed vacation! 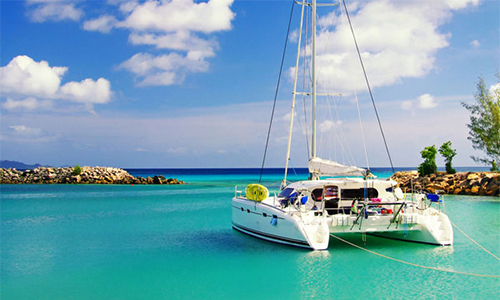 Sailing holidays in Caribbean are going to be incredible if they are well planned. Firstly you need to decide how many islands are you going to hop given your time frame. The next step is to determine which island would be your base; then you can plan an itinerary for the week(s), taking into consideration distances between islands and factoring in activities like island exploration, scuba diving, snorkeling, volcano hiking and shopping. Not the less important is the following step – to choose your crew members. Finally, the last step is to rent whether a sailing yacht, boat, catamaran, motor yacht or a mega yacht, and to enjoy sailing charter through the Caribbean. Experience the beautiful Caribbean Sea as you wish – in comfort and with each your preference! Imaging sailing through crystalline waters, stopping at secluded beaches and islands, hopping ashore for dinner at a local restaurant or having dinner prepared in your yacht. 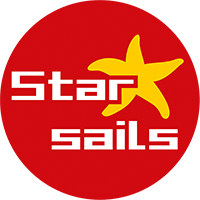 If you still have any questions about sailing holidays in Caribbean Sea, do not hesitate to contact us. 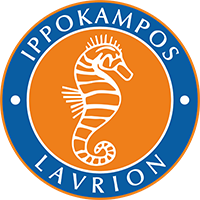 © 1989-2019 ARGOLIS YACHT "Tsiropoulos Yacht Enterprises Ltd."